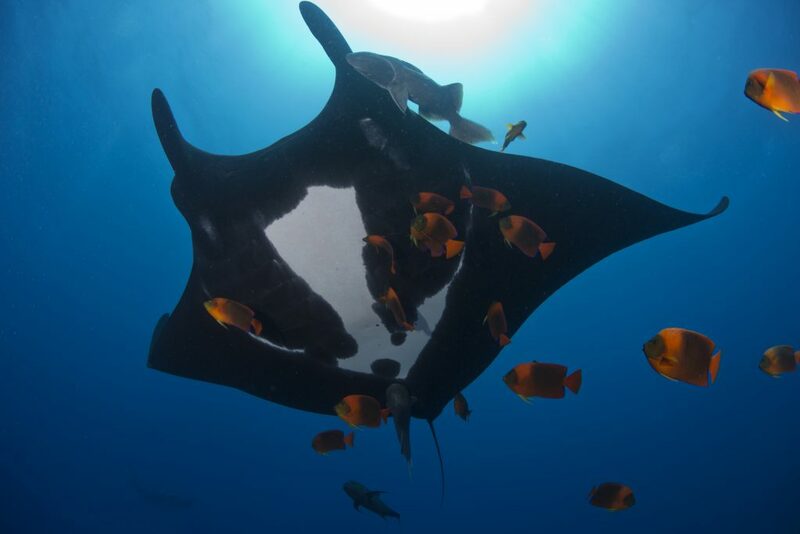 The Bertarelli Foundation has, for some time, supported a number of projects in the Indian Ocean which use tagging technology to further our knowledge of animals such as sharks, tuna, manta rays and sea turtles. 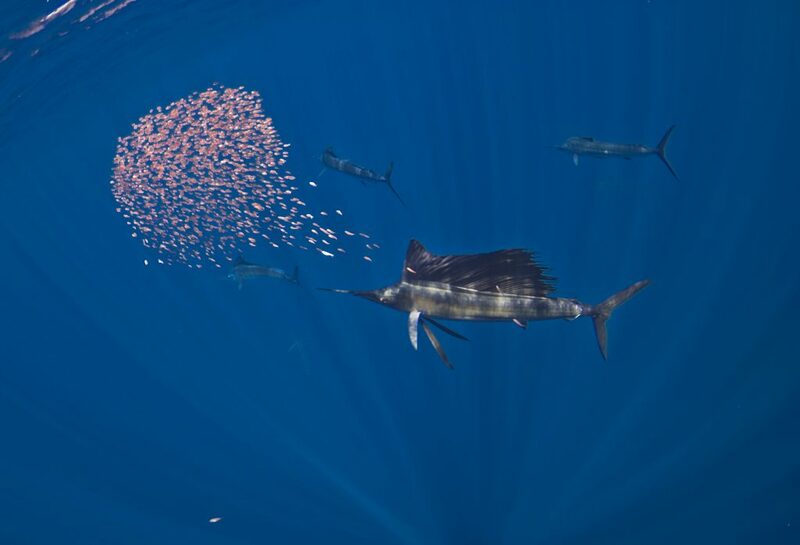 By following their migrations, sometimes over great distances, scientists can begin to understand more about their behaviour and their ecology. A scientific paper by Prof. Graeme Hays of Deakin University and Nicole Esteban of Swansea University recently published in Frontiers in Marine Science, suggests that tagging data might actually be used by scientists for another purpose – to map seagrass habitats. Not only are seagrass meadows a valuable habitat for many marine species but they also provide ecosystem services worth trillions of dollars (USD) each year. Seagrass meadows have a role in mitigating climate change, they protect coastal areas from erosion, and they improve the health of neighbouring coral colonies. Mapping seagrass meadows – and any changes in seagrass distribution – is therefore of vital importance to us all. As part of the Bertarelli Programme in Marine Science the researchers have attached satellite tags to a number of species of sea turtle, including green turtles, in the British Indian Ocean Territory. This has provided valuable insights about how they range across thousands of kilometers, and even suggested how they might locate tiny islands in the vastness of the Indian Ocean. Now the scientists have also shown that it is possible to use this tracking data to identify where seagrass meadows might be located and which areas warrant further investigation and survey. At the start of the new year, Peter Carr and Hannah Wood from the Zoological Society of London (ZSL) in collaboration with Exeter University and supported by the Bertarelli Foundation, arrived in the British Indian Ocean Territory (BIOT) to assess the importance of BIOT, and its MPA, for seabirds. 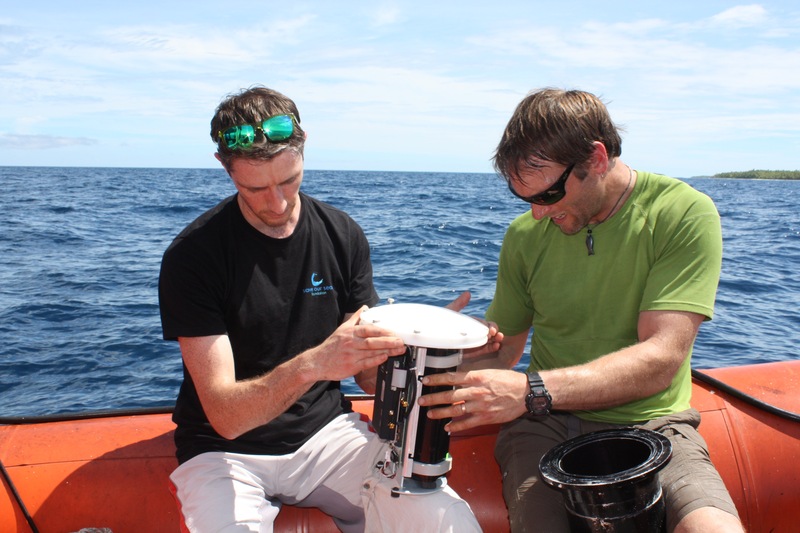 An integral part of the Bertarelli Programme in Marine Science, this research will build on work started in 2016 and provide vital information about populations of Red-footed Boobies and other breeding seabirds in this Key Biodiversity Area. Currently, the researchers are attaching tracking devices to breeding adult Boobies which will, once retrieved, provide information about foraging and breeding behaviours of this iconic species. By unravelling where the birds go, but also why, the scientists will reveal important information about activity ‘hot-spots’ and the health of the ocean upon which they rely. It is widely recognised that seabirds are an indicator of ocean health and an important link between the marine and terrestrial environments. Protecting healthy seabird populations is a priority as they bring essential nutrients to islands and their surrounding waters, which can play a positive role in the health of near-shore coral-reefs. As such, research like this which improves our understanding of how large MPAs can benefit seabird populations, will prove vital as we face the growing challenges of global warming and ocean acidification. 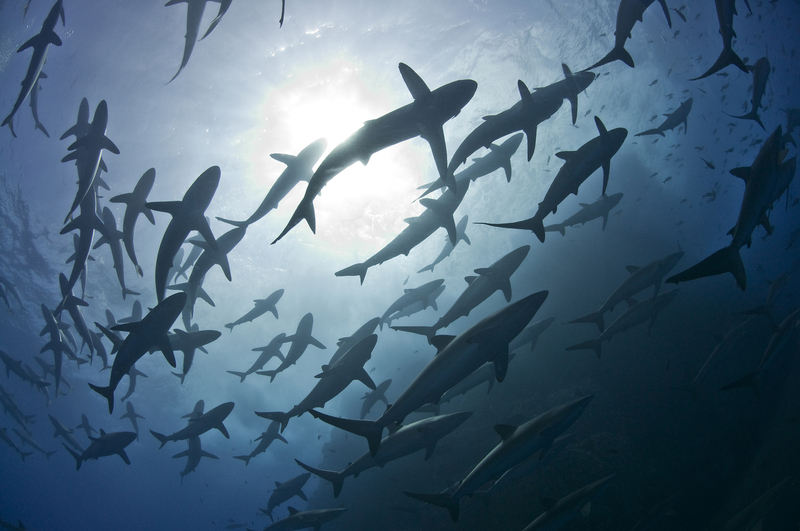 The Bertarelli Programme in Marine Science brings together talented scientists from around the world to carry out important research in one of the world’s largest Marine Protected Areas. This large, remote, near pristine, no-take marine reserve presents a unique opportunity to undertake an interdisciplinary approach to understanding the role of these complex ecosystems for mobile species such as tunas, sharks, turtles, and seabirds. 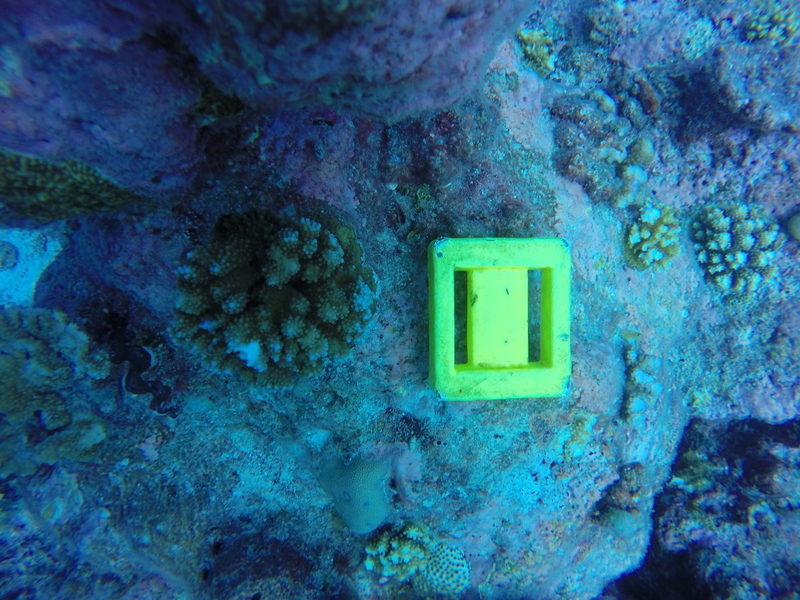 As BIOT has been negatively impacted by recent global coral bleaching events, the reserve also provides an important study site to understand the resilience large marine reserves offer in the absence of fishing and other man-made pressures. On the first day of IMPAC4 in La Serena, Chile’s Ministers for the Environment, Marcelo Mena, and Minister of Foreign Affairs, Heraldo Muñoz, announced the results of a referendum held Sunday, 3rd September 2017 on Easter Island for the creation of a marine protected area. 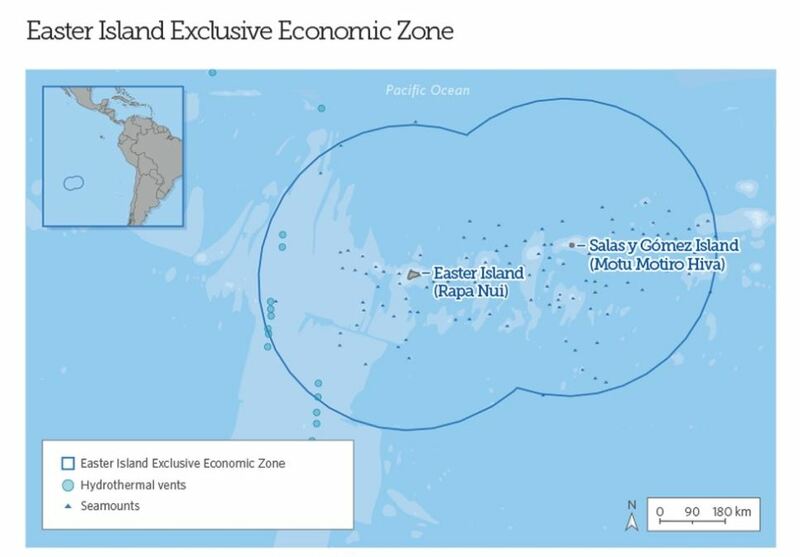 The vote, which had the largest turnout for a consultation ever held on the island, resulted in 73% approval for the creation of an MPA that would protect the island’s exclusive economic zone from industrial commercial fishing, mining and other extractive activities while grandfathering in Rapa Nui artisanal fishing. 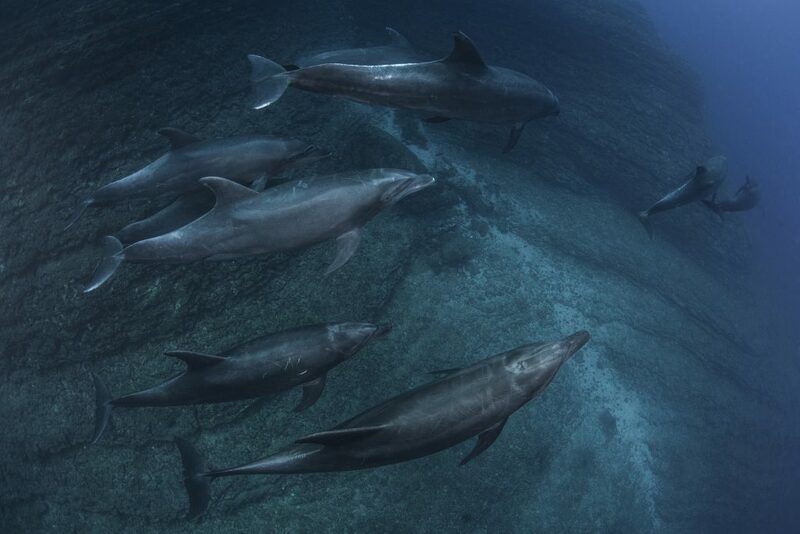 The Pew Bertarelli Ocean Legacy Project issued the following statement in response to the vote. 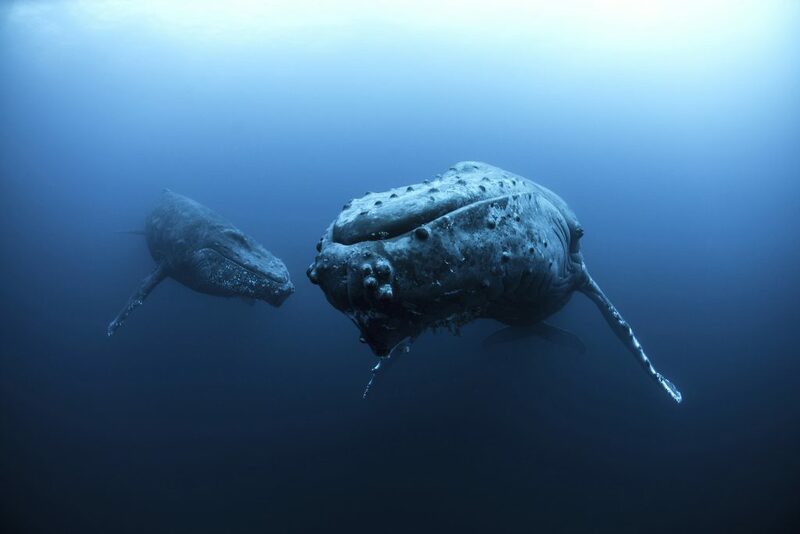 “This is a historic moment for the conservation of the world’s ocean, and the protection of the Rapa Nui environment and culture. We are thrilled that, after working with the community for over five years, the Rapa Nui have voted in support of a marine protected area. We are hopeful that President Bachelet will codify the Rapa Nui proposal. 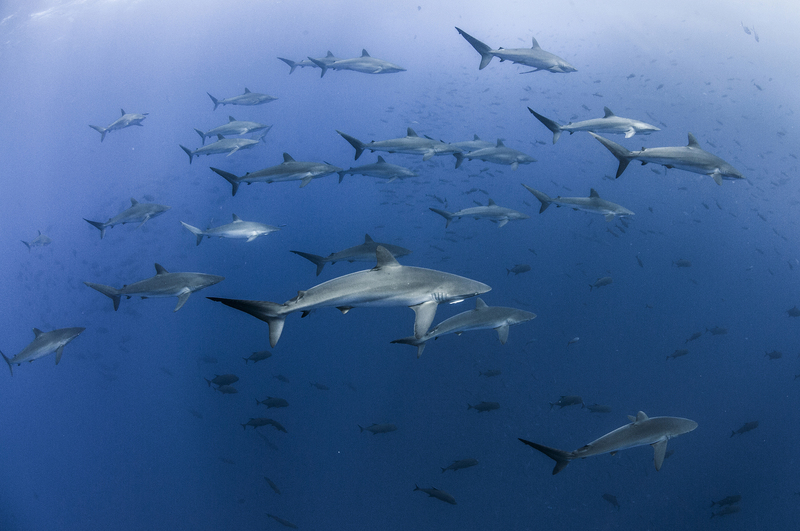 There has been an extensive vetting process with the Rapa Nui and the final decision by the community is to support a marine protected area. This is the important step to hopefully realize the community’s vision to protect their ocean and culture. We have been privileged to have worked so closely with the Rapa Nui on this endeavor over the last five years. The power of this partnership between committed indigenous local people and our outside expertise has been remarkable. 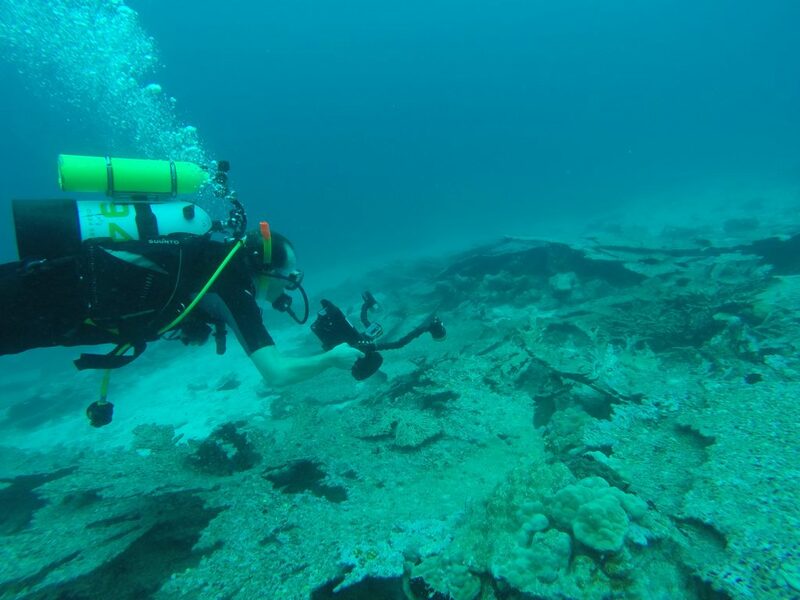 The Bertarelli Foundation recently supported an expedition to British Indian Ocean Territory, one objective of which was to survey damage to the coral reef from previous bleaching events, and to see the extent of any damage this year. Dominic Andradi-Brown of the University of Oxford provided this update. 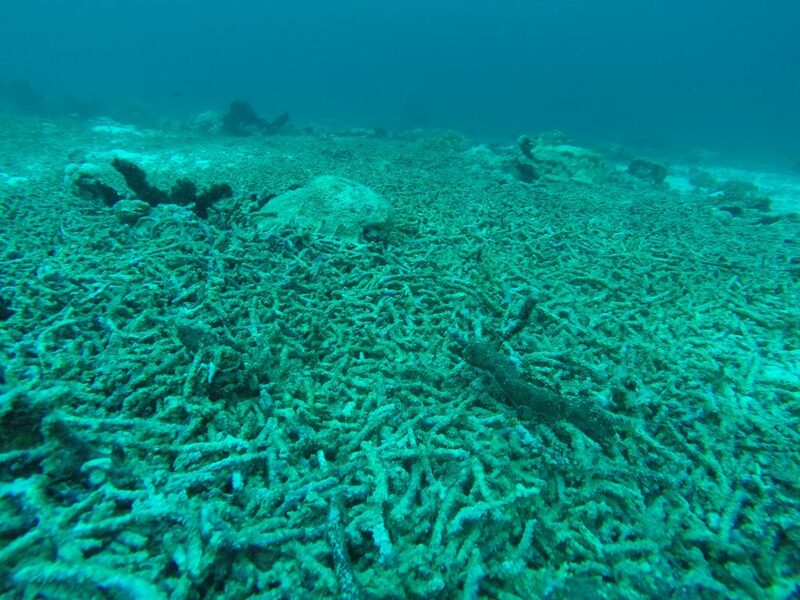 The reefs were characterised in the shallows by many large upturned plates, with the few Acropora colonies still alive but looking heavily diseased. Many of the other branching corals, such as Pocillopora, were still alive but showing signs of bleaching. So it was with much trepidation we returned this year to see what further changes there had been. 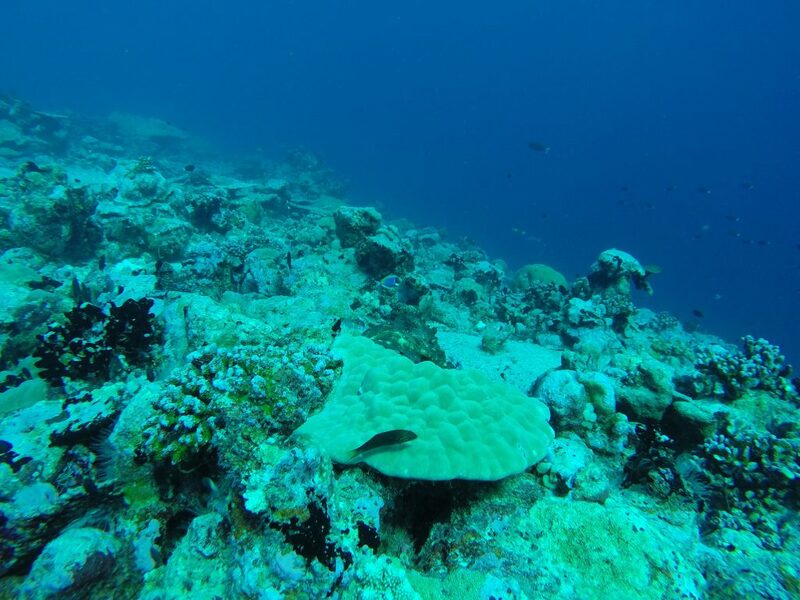 At first glance the shallow reefs looked fairly similar, after all, the plating Acropora that had previously died off had been the dominant coral at many sites. Unfortunately for the reefs of the Chagos Archipelago it seems they have had two years of back-to-back change.